It has become commonplace to label Turkey as an autocracy following the despotic policies of its president, Recep Tayyip Erdoğan. A wave of ideological purges succeeded the failed coup d’etat of June 2016 that was instigated by a faction within the Turkish Armed Forces, the Peace at Home Council. Among the motivating factors behind the coup appear to be a combination of an increasing feeling of eradication of secularism within the country, and Turkey’s declining influence on the global political stage. However, it is highly likely that such accusations serve as pretenses for the president to consolidate his grip over the country in an attempt to erode the influence of Kemalist ideology and revert to Islamic rule, thus effectively merging the state and religion, as was the case during the Ottoman Empire. Kemalist ideology had impacted Turkey drastically. Ataturk’s set of reforms demonstrated an endorsement of western values and customs that not only radically changed Turkish life, but also opened the door to economic partnerships between Turkey and countries belonging to the Occident. For example, one prominent principle present in Kemal’s thought was that of Revolutionism, which emphasized the importance of the termination of old institutions and the necessity to replace said institutions with ones that contribute to modernization through scientific and intellectual progress. However, despite Kemal’s benevolent policies, Erdoğan’s philosophical doctrine denotes a reversal of Kemalist beliefs. For example, he has stated on numerous occasions that he does not believe in the equality between men and women due to Islamic teachings that define the role of the woman as motherhood and therefore there can be no equality due to men and women’s diverging natures. Last year, Erdoğan publicly encouraged women to bear at least three children, saying that women who are childless are “incomplete”, and this may well be extended to infertile women. Consequently, fertility and motherhood are fundamental bases upon which women are divided socially into ‘acceptable’ and ‘unacceptable’, which represents a most atavistic mentality. Furthermore, he reiterated the necessity of having children by asserting that women’s ability to enter the job sector ought not to act as a hindrance to their starting a family. 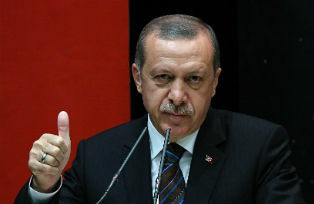 Despite his repeated remarks of denial, it is clear that Erdoğan has delusions of grandeur with regards to wishing to be seen as a sultan, especially after he oversaw an extensive revival of Ottomanism, for example hosting the head of the Palestinian Authority, Mahmoud Abbas, in his 3.1 million square feet palace surrounded by men dressed as Ottoman soldiers. The president highlighted his intention of hosting world leaders in a similar fashion in the future. The situation became even more turbulent when the president, in his quest to make himself the spiritual successor to Suleiman the Magnificent, used the coup in order to goad the United States into conceding to his demands namely that of extraditing Gülen, who currently resides in Pennsylvania and has been accused of treason. Drastic actions that aimed to offend the US serve as nothing but a ploy to force the latter to bend the knee. This has manifested itself via the arrest of a Turkish-born, US-based NASA scientist and Andrew Brunson, an American pastor ludicrously accused of being a CIA operative tasked with organizing last year’s coup and the similarities between these foolhardy anti-US operations and the move to detain German journalists serve as a double political suicide, with Deniz Yucel a Turco-German political correspondent working for Die Welt being accused of having ties to Kurdish groups. Aside from the detention of German journalists, corporate investment in Turkey has been suspended indefinitely due to the accusations brought forward by Erdoğan’s government that several giants such as Daimler have ties to the Gülen movement, thus significantly affecting Turkey’s ability to attract foreign capital for the foreseeable future. That said, this may serve as retribution for the lack of compensation for Turkey’s aiding in housing millions of refugees, with only 700 million Euros having been delivered so far out of the 6 billion that were agreed upon by Germany. Halfway through this time-span, Germany has not even come close to paying half of the pledged money as a sign of gratitude for Turkey’s willingness to keep within its borders an abundance of refugees. In this respect, Erdoğan possesses the high-ground for he has upheld Turkey’s promise of sheltering refugees and thus saving Europe further escalation. He could thus use this situation and associated agreement as a bargaining chip in order to get Germany to fall in line. Yet the president is forcing his luck in thinking that he possesses the upper hand in this quarrel with Germany for the latter may use Erdoğan’s purges, specifically the imprisonment of German nationals, as an excuse for ceasing payment with regards to their bilateral agreement on dealing with the refugee crisis. In the meantime, President Erdoğan has set his sights on Russia and the Arab League, as a result of his aggressive stance towards the EU and the United States. While the recent deal struck with Russia to buy the S-400 defense system may strengthen Turkey’s position from a military standpoint, potential negotiations with Saudi Arabia, the UAE, Kuwait and Bahrain would be much more tempestuous due to Turkey’s warm ties with Qatar, which has been accused of being affiliated with and offering financial support to organizations, such as the Muslim Brotherhood. Qatar-Turkey relations are so watertight that the former has permitted a deployment of Turkish troops, the removal of which has been requested by the quartet of Saudi Arabia, the UAE, Kuwait and Bahrain in order for tensions to diffuse. So, what can be made of this cumbersome affair? Erdoğan is most certainly not a prophetic leader but rather a perfect example of a leader committing political suicide. In his relentless quest to transform himself into a sultan-like figure, Erdoğan does not only risk alienating other major economic powers, but his very own people who would not take too kindly to their leader’s wish to reverse social and political organization to an atavistic form of rule. Turkey is in an extremely frail position given that it is losing western allies and tensions continue to build within the Arab League surrounding the Qatar terrorism allegations. Therefore, if Erdoğan persists in this callous quest, it will only be a matter of time before he succumbs to increasing economic pressure that will threaten to leave the country destitute. Throughout human history, religious dogma has always compounded social, cultural and intellectual progress and in the increasingly interdependent world that we live in, it would be extremely asinine to seek to implement archaic policies that have a stagnating effect. Daniel Petcu is a sociology and criminology student who enjoys blogging and reading about current political climates.